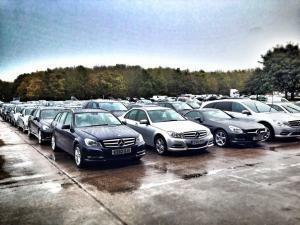 If you have multiple vehicles that you need to insure then fleet insurance is a perfect solution. Fleet insurance is a quick and easy way of insuring multiple vehicles under one policy. Fleet insurance is available for all types of businesses and vehicles including cars, vans, trucks, minibuses, taxi insurance etc. so no matter what type of vehicles you have in your fleet, you can get them covered under one policy. Be picky with your drivers – When you employ multiple drivers it’s important to be selective and employ those with the most experience and cleanest driving history since this will help you save money and make it less likely that you’ll need to make a claim. This is especially important if you’re looking for truck fleet insurance since driving these vehicles requires a lot of training and experience. Secure your vehicles – You should make your vehicles as secure as possible by fitting alarms and central locking wherever possible. This will certainly help to reduce the cost of your policy. Shop around – This is one of the very best ways to save money on fleet insurance. By getting multiple quotes you can compare them and decide which offers you the best value for money. cheapfleet.co.uk is an insurance comparison service that enables fleet owners to get insurance quotes from a panel of insurance providers in a quick and easy manner. All types of cover are available from the panel for all types of vehicles including Cars ✓ Vans ✓ Trucks ✓ Buses ✓ Taxis ✓ Special Types. Cheapfleet.co.uk is designed to be very easy to use, we work in partnership with QuoteSearcher who provide an easy-to-use, two-minute form, once completed a panel of Motor Fleet insurance brokers will be in contact via the telephone with the aim to find the right policy for you. Meaning they compete and you win!